Italian tenor, Pasquale Esposito makes his debut at the Kaufman Music Center’s Merkins Concert Hall with his new program celebrating Italian Piazzas (Squares). The program is the live version of his new Public TV Special on New York PBS (WNET). 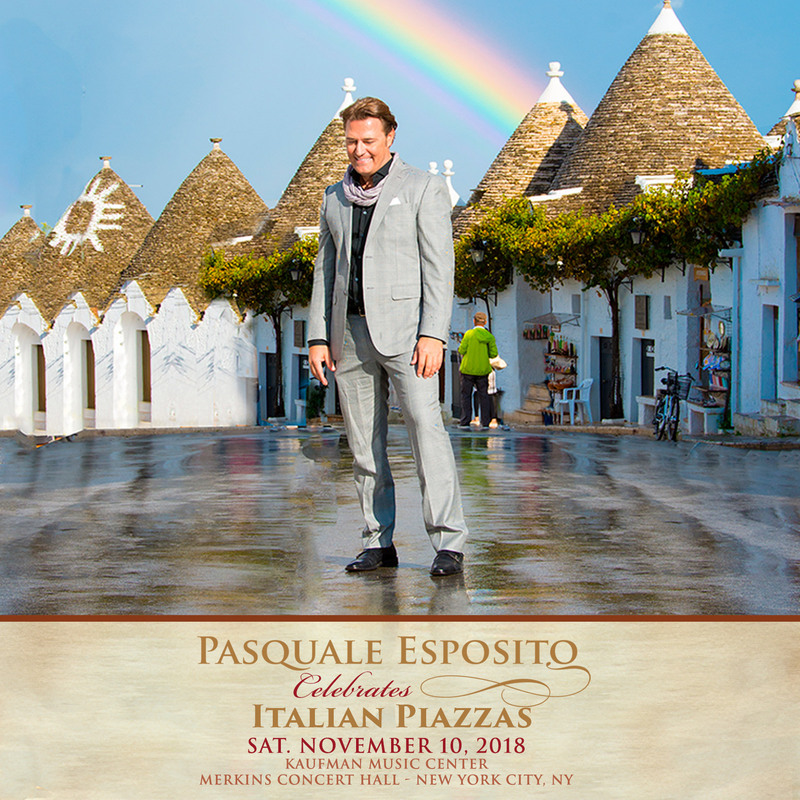 This is Pasquale’s follow up to his 1st successful PBS Special Celebrating Enrico Caruso (2015). The evening’s program will take the audience on a musical journey paying tribute to the most beautiful piazzas in Italy and dedicating to each of them a song celebrating their history, beauty and romance. The multi-media program will including incredible footage from Italy coupled with Pasquale’s dynamic live performance accompanied by his international band of musicians. Don’t miss this opportunity to see Pasquale up close and personal in New York City.